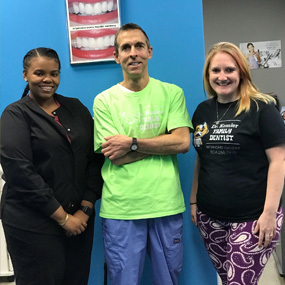 At Smiles for RVA we do more than treat teeth; we care about you as a person and want to help you achieve optimal dental and overall health! 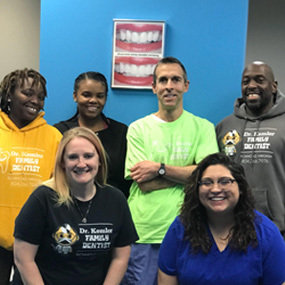 Dr. David Kemler and our experienced team members are warm and friendly professionals. 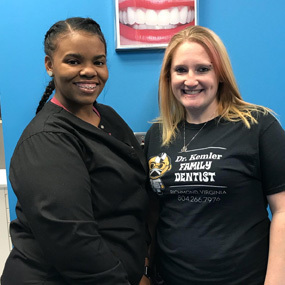 We’ve created a dental office with a relaxed atmosphere, where you and your family will feel at home and safe in our care. We’re especially attentive to people who are nervous about dental visits and will work hard to ensure you have nothing to fret about! 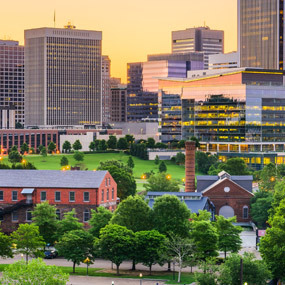 Smiles for RVA serves the Richmond Metropolitan Area and Central Virginia at our family-friendly office in Richmond. Please contact us to learn more and schedule a visit with Dr. Kemler for yourself or a loved one today! 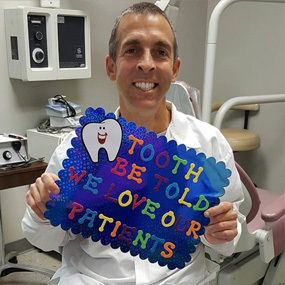 We all look forward to welcoming you to our dental family. We’re excited to be your partners as you achieve a healthier, more becoming smile! The Smiles for RVA team is patient, empathetic, and gentle, and we want to help you move past any anxiety you may feel about your visit. Please tell us about your worries; we promise to listen without judging and strategize with you to figure out the best way to provide care so you can get back to enjoying life!